Garden Adventures with HiPP Organic. Both Evelyn and James love being outdoors which is great as I love knowing they are enjoying themselves outdoors rather than being stuck indoors watching TV missing out on all the adventures to be had. I am always trying to keep the garden fun and engaging so they don't get bored. Its easy to forget that for our children so many things are new and exciting and I love watching them discovering the world at their own pace. 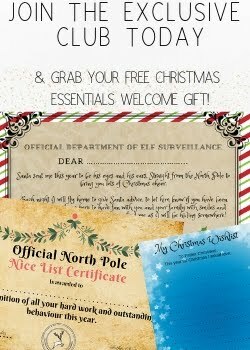 So when the lovely people over at HiPP asked us to become HiPP Explorers and share our adventures we were very excited! HiPP Organic’s product vast range has more than 120 products, covering every stage of weaning including pouches, jars, tray meals, cereals & fruit pots. They are also perfect for enjoying outdoors! When it comes to lunch/dinner time getting Evelyn in from the garden is often a struggle. HiPP have that covered though with their heart shaped tray microwavable meals that can easily be enjoyed alfresco if needed. Don't be put off by the fact these are microwavable though as HiPP Organic are passionate about providing the best possible quality food for all babies and young children meaning these meals are not only delicious but nutritional too. 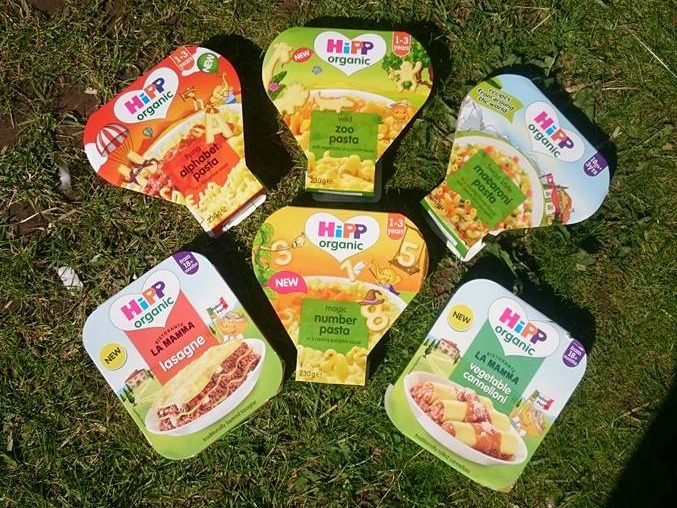 One of Evelyn's favourite meals is Pasta and with HiPP being the only brand to offer pasta shapes in their meals including zoo animals, alphabet letters and numbers I knew these would be a bit hit with her and I wasn't wrong. HiPP Organic understand the moments that matter to mums like being able to get outdoors and having fun in the garden. So our HiPP Explorer challenge this month has been all about getting in the garden and the kids have loved it. 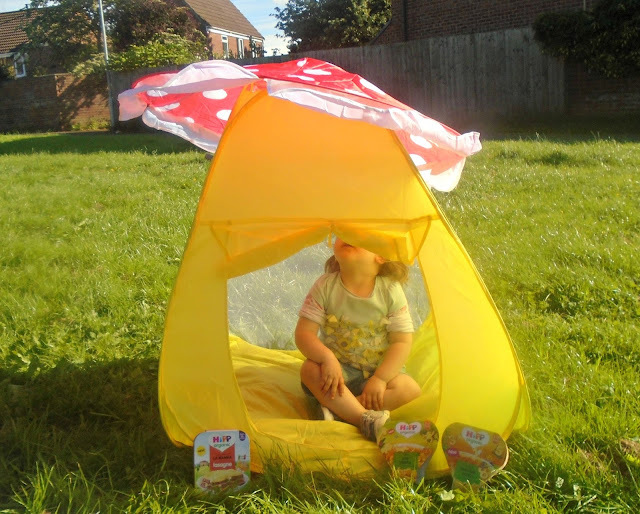 There are so many things you can do in your garden whether its getting out a paddling pool and enjoying a splash, hunting bugs and insects, eating lunch outdoors (even in a toadstool tent like Evelyn!). You could also take the opportunity of having some garden space to plant your own fruit/veg or flowers. 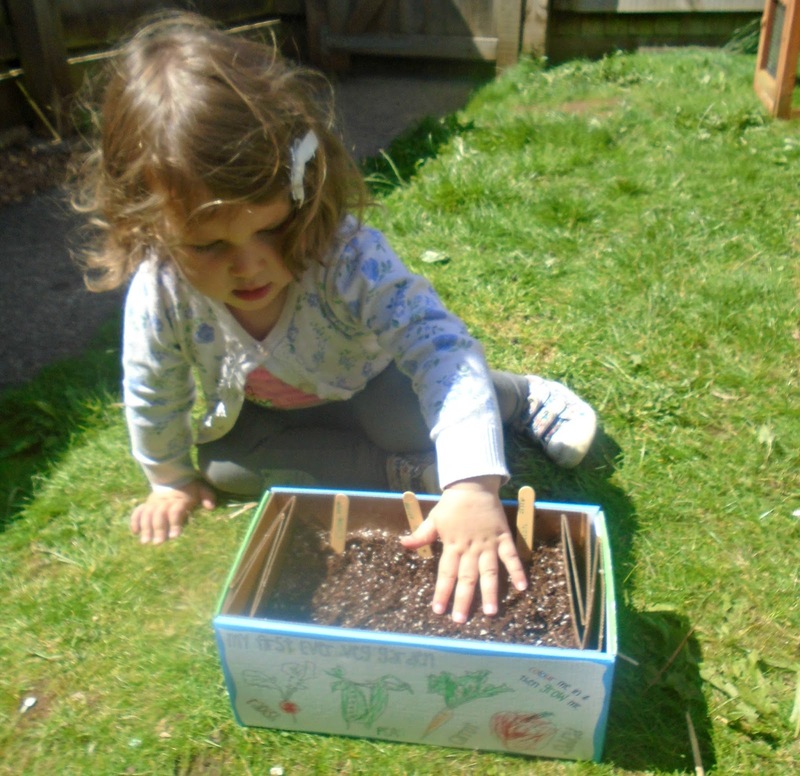 We used this mini veg patch planting kit for the kids to plant some of their own seeds and grow their own veg, they are so excited to watch it grow. This is also a great opportinity to teach your child about planting, watering and caring for plants and also about how veg is grown. 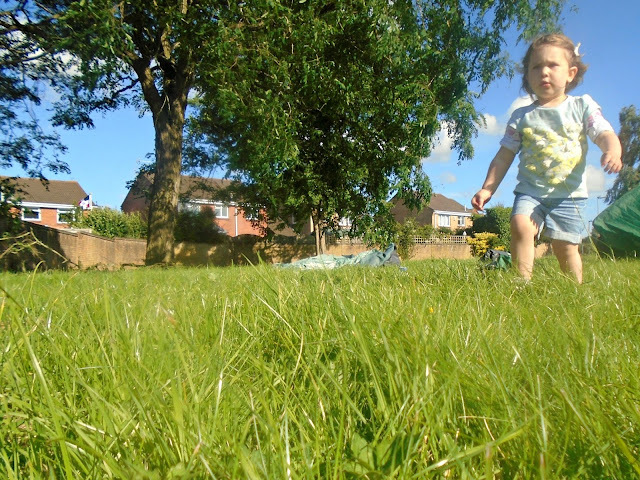 Getting outdoors is all about exploring the world around for us, its about feeling the grass on our toes and the sun on our skin! Family beliefs and values embody the HiPP Organic brand, who are instinctively organic and have been for over 60 years providing the best products in their meals for your little ones. HiPP believe in organic for a better legacy, using farming techniques that leave the soil full of nutrients for the next generation. If your children enjoy being outdoors too why not give alfresco dining a go with some of the delicious HiPP Organic meals. 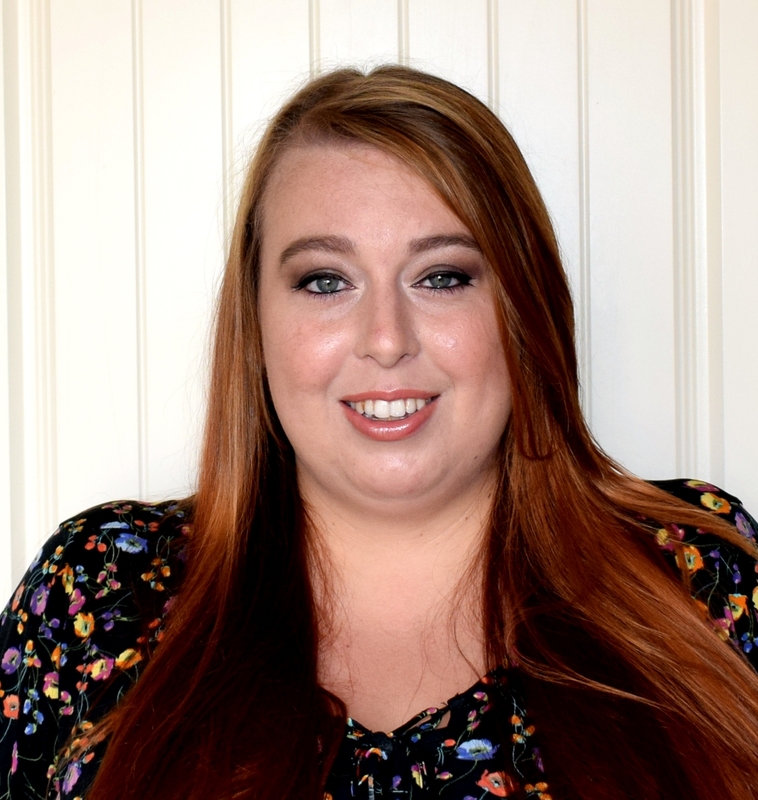 **I was not paid for this post, I was sent this item and we used the item to produce this honest review and post. That tent is so lovely. Great idea to eat outside as well!